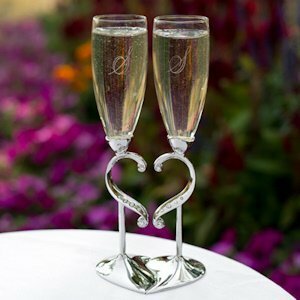 The wedding is the anticipated day when two hearts are intertwined to become one, making these Linked Love Wedding Toast Glasses the fitting choice for that special day. 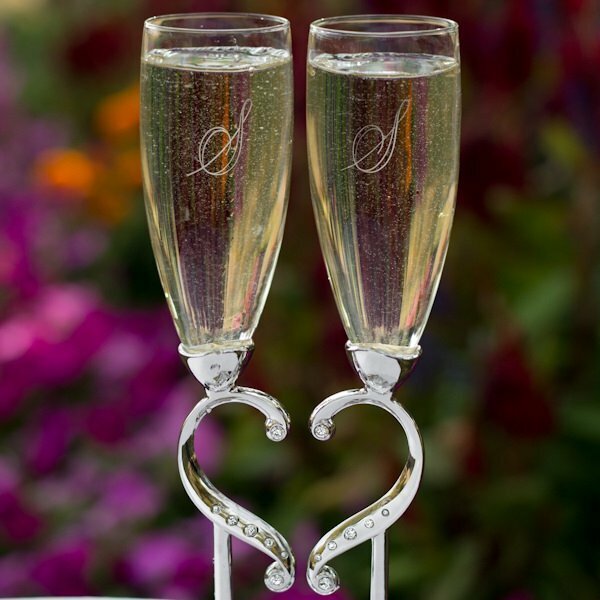 Let them toast their love with glasses that put together signifying when two hearts join together they become one. Our gorgeous flutes have nickel-plated stems with rhinestone accents and an interlocking heart-shaped design. Each glass stands 10 1/2" tall and arrives as a set of two. 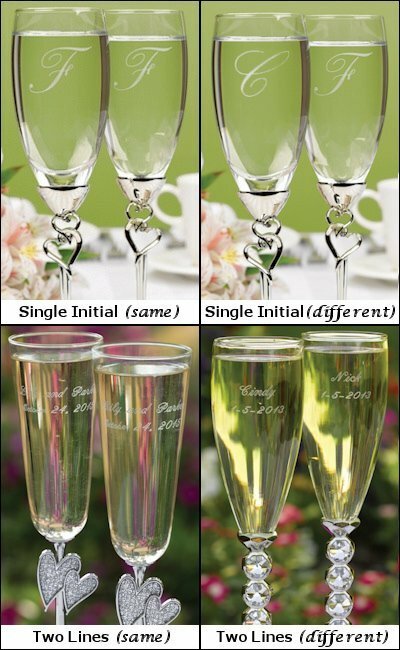 The true beauty comes when we add the optional personalization making this a one of a kind keepsake for the bride and groom to cherish for years to come. 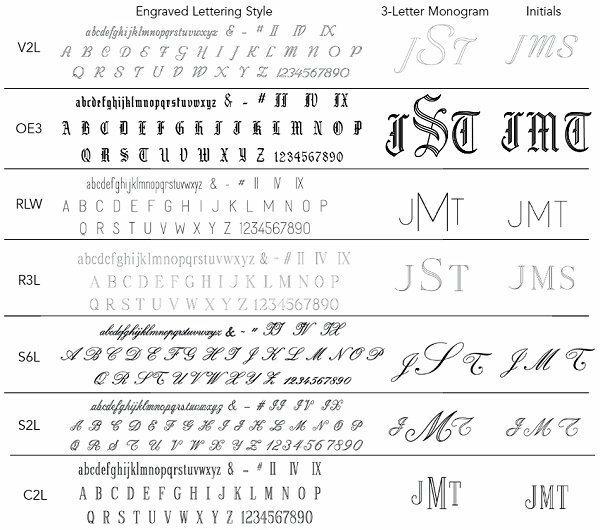 For a small additional fee, you may choose the personalization font style and have the choice of the bride and grooms names and date or a single initial, as shown in the photo. Toast the beginning of a new life together in complete style!